There are lots of things that are better to do alone – singing in the shower, meditating, bikini waxing – but at Ascend, we know that working out isn’t one of them. And, we have the research to prove it. Friendship is support. And when you bring your friends – or make friends at the studio – that support group is proven to help you stay committed, work harder, and achieve your fitness goals. With a buddy, lots of things improve, including your consistency. Knowing your studio bffs are waiting for you makes you more accountable to your health and fitness goals, and more likely to stay true to your fitness commitment. Nothing like a little peer pressure in the form of a harassing text message to make sure you book your bike, and show up for the ride, right? Research has actually shown this to be true: According to a study, 95% of those who begin work out programs with their friends complete the program. Even better than the initial finding is that working out with a friend makes you 42% more likely to maintain your weight loss/fitness goals. That’s what we call #winning. But did you know that simply being around your friend when you work out can improve your overall performance? Working out with friends provides motivation and competition to help you gain and keep your edge. Researchers at Kansas State University found in a study that participants increased their workout time and intensity by 200% (yes, you read that right) when they perceived their partner as better – all because of a little friendly competition, and some healthy motivation. It seems, though, that researchers forgot to mention the biggest benefit of working out with a buddy – working out together is simply more fun. After all, who else understands the accomplished feeling of crushing a sprint after a long day, or beating a personal best during a burpees challenge? Only those who are in the trenches with you, day and in and day out, pushing those sprints on the bike next you, or attacking those burpees by your side – the ones willing to share a sweaty, congratulatory hug. Ascend is built on community – relationships built within our studio, and rooted in support, motivation, and a healthy dose of competition. In that spirit, we want you to grab an Ascend newbie for a free ride or Underground class – for you both! 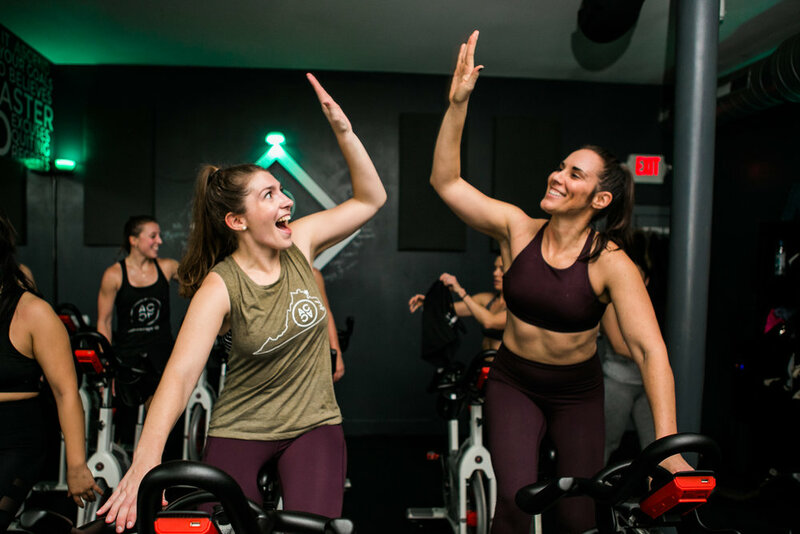 And for those BFFs already sweating together, tag us on IG in a sweaty selfie with hashtag #bettertogether and enter to win matching tanks during the month of March – and see why working out is better together.